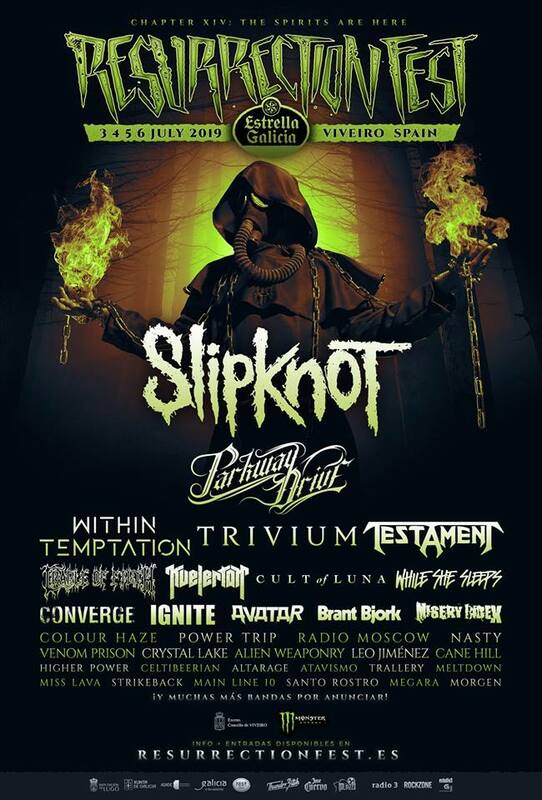 Spain's own Resurrection festival never disappoints with the band choices. Following the announcement of the first 30 bands for the 2019 edition earlier this month, including headliners Parkway Drive, Converge, Within Temptation, Testament, Cradle Of Filth, While She Sleeps, Misery Index, Venom Prison and many more, today a new big name was revealed. As you read in the title, Slipknot will be among the headlining acts for next year. We are anxiously waiting for the rest of the billing, which we are certain will be top-notch like the previous years. Slipknot has confirmed they will be heading in the studio early next year to record their forthcoming album, which will be due sometime in 2019. Resurrection fest is taking place on 3-6 July 2019 in Viveiro, Spain. For infos and ticlets, visit resurrectionfest.es.